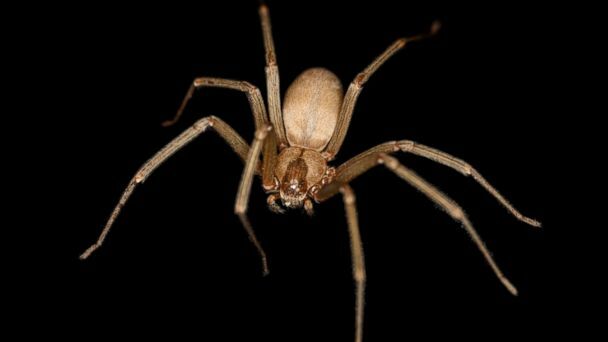 A 62-year-old Florida man has died after receiving a bite from a rare and poisonous brown recluse spider, according to the Polk County Health Department. Ron Reese was renovating an old home in Mulberry, Fla. when the spider bit him - but did not see a doctor because he thought it would heal on its own, his father, Bill Reese, 89, told ABC's Tampa Bay affiliate WFTS. "It bit him right on the back of his neck and rotted out to the vertebrae," Bill Reese told WFTS. "He wasn't afraid of anything. He thought he was invincible. But he wasn't." Click here to learn more about when animals attack. The bite eventually paralyzed half of Ron Reese's body, his father said. "I thank the Lord every day that he's out of his misery," he told WFTS. Residents have been reminded to seek medical attention as soon as they've been bitten by a spider, said Polk County Health Department spokesman Scott Calibri. "Typically, spider bites are non-lethal, but it really is case by case," he said. "This is the first fatality to my knowledge but there are a couple of cases a year of folks who get bitten by spiders and need to get medical treatment." Dr. Dona Seger, the executive director of the Tennessee Poison Center and a professor at Vanderbilt University, said she sees about 50 to 100 brown recluse spider bites a year in her region. Although she said she expects they're in most homes and barns in Tennessee, she said they're not looking to bite people. "They are reclusive. They don't like to be around you," she said. "People get bitten when they put a hand in a drawer or under a bed." She said some brown recluse spider bites appear only as wounds that eventually clear up on their own, while others become systemic when the venom breaks down red blood cells. If the bite is serious, symptoms like fever and a rash develop in the first several days, she said. If not, the dark purple wound is ugly, but it's best to clean it and let it heal on its own. She said home remedies such as putting coffee grounds on it only lead to infection.